Its Ice Cream Time... again! They say its going to be 97 degrees today. Sunday will be July 4th. You may remember that last year I posted about my ice cream making adventures on the Fourth of July. I shared a recipe for ice cream that began, "Take the yolks of 13 eggs..." So here we are a year later, and I thought, "you know, we should have an online ice cream making contest. Or fiesta. Or whatever." So here's the showdown throwdown. Post your old fashioned ice cream recipe here, and make it on the 4th. Then lets get back together next week and share our ice cream making (and eating!) experiences. For those who need a little help, just google "historical ice cream recipe" or even "Jefferson's ice cream". I remember seeing Thomas Jefferson's recipe last year, facsimile photo of his original handwriting. 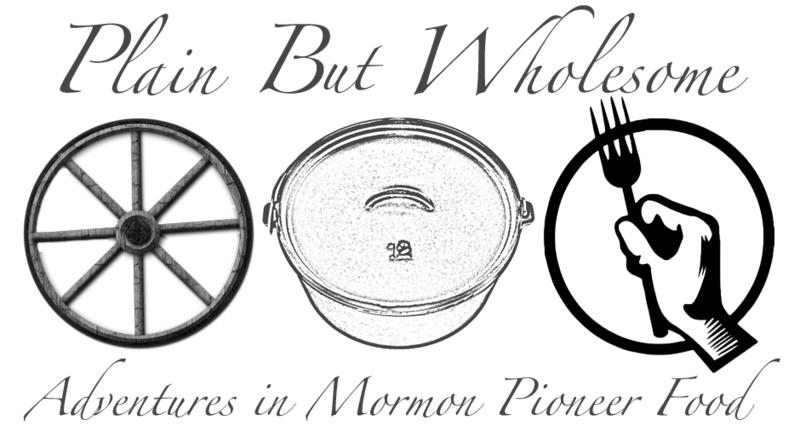 Of course the purists will use a Mormon pioneer recipe. After all, what good are Mormons without our ice cream? My grandmother was part of the last colony established by the church. She traveled by wagon to the Big Horn Basin at the turn of the last century when she was eight years old. She told how they arrived and set up a tent camp early in the summer. The Fourth was their first good excuse to celebrate and men went to the nearby mountains to get ice to make ice cream. Anticipation was high until they discovered that someone had stolen the churned ice cream while it was still setting up. Later that day or week they found the abandoned freezer(s) in a gully still full of the now spoiled ice cream. The uproar at the theft apparently caused the thieves to loose their nerve and never even eat the ill gotten gains. I could still hear some bitterness in the story 60 years later. Wow! What a fabulous story! Do you ever tell the story to your kids, with apocryphal warnings? Love it! Brown Bread Ice Cream. [Boston Cooking School cookbook, 1896]. 1 1/4 cups dried brown bread crumbs. That Fanny Farmer... what a nut!! brown bread crumbs in ice cream? Was she promoting it for people with digestive complaints?? Nah, I've actually seen recipes brown bread ice cream around, so it's not just her misguided health-nut wackiness. I'm hoping that since I've seen it multiple times, that it might be good. I ran across this just now as well, for so many historical ice cream recipes! Yay Jana! Love your blog. So I tried the same recipe I posted from last year (13 egg yolks, etc.) but I tried using my grandma's flavoring trick. The usual vanilla extract, plus two teaspoons of lemon extract. It was rather subtle, but it gave it a lovely fresh *zing* that wasn't too in-your-face. We ate the whole batch then and there.